February is Rare Disease Month. 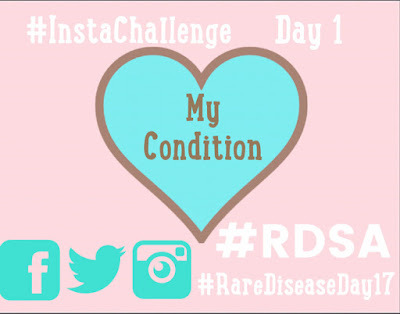 Join Rare Diseases South Africa, an advocacy group for those living with rare conditions in their effort to raise awareness about Rare Diseases by posting on Instagram. Each day has a theme or a topic. Take a picture that best reflects that topic in your daily life, share it on Instagram, and tag #RDSA, #RareDiseaseDay2017 #RDSA, and @CCAKids on all social media platforms. A picture speaks volumes about the day-to-day experiences. This is a fun way to inform others in a positive way. Show your positivity, resiliency, and what it is like to live with your rare disease. Shout it proud! Shout it out loud! Looking forward to creating awareness together!